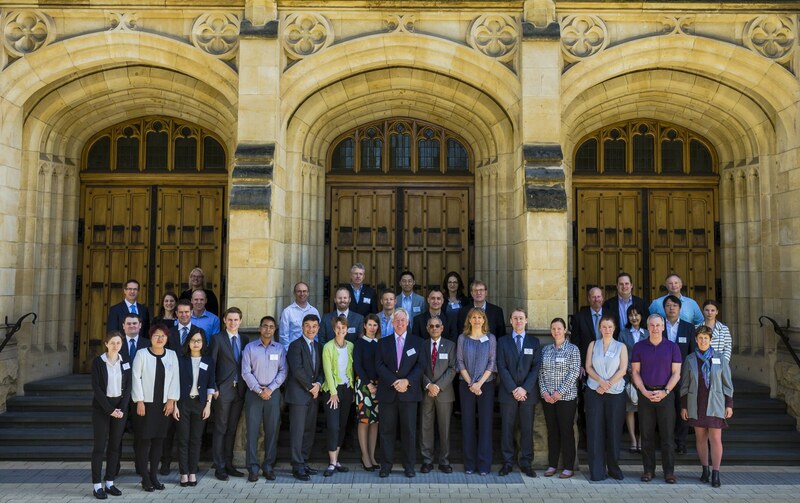 More than 50 legal experts, technical experts, researchers and others came together at The University of Adelaide Law School over the period 20 – 22 February 2017 for the first MILAMOS Workshop. Following the preliminary coordination meeting in October 2016 in Montreal, this was the first in a projected set of nine Workshops to reach consensus on draft Rules and Commentaries for the prospective Manual on International Law Applicable to Military Uses of Outer Space (MILAMOS). The MILAMOS project includes a wide range of international academic and governmental experts who are drafting a Manual that reflects the state of the current law applicable to govern military activities in space. 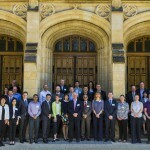 The Project is being spearheaded by the University of Adelaide and McGill University (Montreal) and enjoys the participation and support of numerous other Universities and agencies across the globe (see MILAMOS primary website here: http://www.mcgill.ca/milamos/about). Adelaide Law School members Professor’s Dale Stephens and Melissa de Zwart, Associate Professor Matthew Stubbs and Ms Stacey Henderson serve key roles in the project and participated fully in the Workshop. The MILAMOS members who were gathered together in Adelaide tackled several of the most foundational Rules (and their associated Commentary), as well as complex issues at the intersection of International Space Law, International Humanitarian Law and International Law on the Use of Force. Issues relating to the prohibition of force, the principle of distinction under IHL, delimitation of space from airspace, the principle of non-appropriation and a definition of ‘military space activities’ were included in the multiple issues tackled during the workshop. Approximately a dozen University of Adelaide Law students provided key support as Rapporteurs of the proceedings as they unfolded. While individual legal experts created each draft Rule and its associated Commentary, the discussion in plenary sessions of the draft Rules and Commentaries was on the basis of non-attribution. Furthermore, the Rules and Commentaries (expected to number between 150 and 250 on completion) will not be finalised until all Rules and Commentaries have been drafted and considered in plenary sessions and not until the process of State engagement has been completed. The Management Board and Editorial staff also considered, in detail, the most appropriate process for State engagement, with the intent of giving States a formal opportunity to contribute to the MILAMOS Project, even before a final draft of all Rules and Commentaries is collated. The Management Board intends to work with States to conduct events for the purpose of State engagement once there is a final draft (expected to occur in late 2019). The MILAMOS Project remains on track to publish the Manual in 2020. This Workshop was very successful and set a solid foundation for the following Workshops. The next MILAMOS Workshop will be conducted in India in June 2017 where the significant start made in Adelaide will be built on. This entry was posted in Commerce, Innovation & Technology, Events, International Affairs, News, Research and tagged adelaide law school, Associate Professor Matthew Stubbs, McGill University, MILAMOS, Professor Dale Stephens, Professor Melissa de Zwart, Research Unit on Military Law and Ethics (RUMLAE), Seminars. Bookmark the permalink.